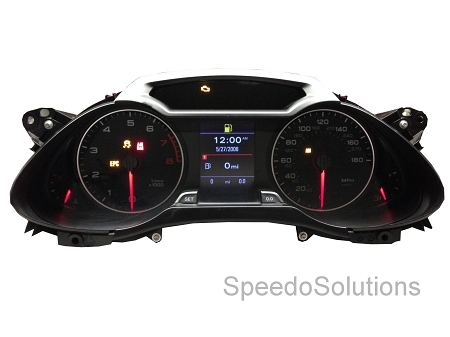 Repair Service for Audi B8 A4/S4/A5/S5/Q5 Premium TFT Instrument Cluster. Restores inoperable, intermittent of flickering Driver Information Display System located in the center of the instrument cluster. Repair process requires shipping of your existing instrument cluster in for service. 2 Year Part and Labor Warranty.